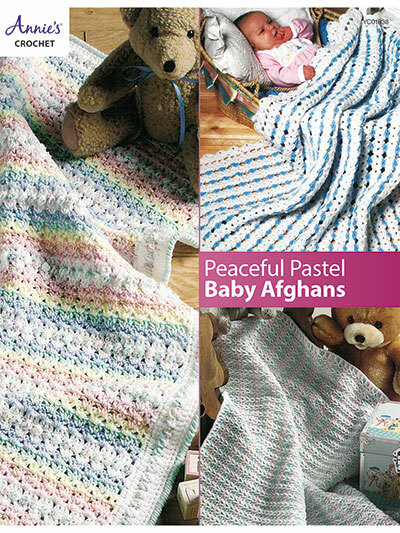 Baby afghans you will want to keep for a lifetime! 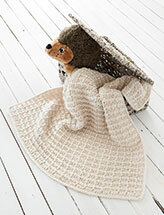 3 beautiful designs made using sport- and worsted-weight yarn. 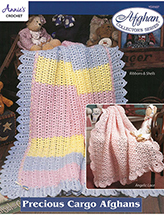 Each design has a special stitch to create a special look for Baby. Size: Gumdrop Stripes: 42" square; Peaceful Moment: 36" square; and Pastel Rainbow: 34"W x 35 1/2"L.